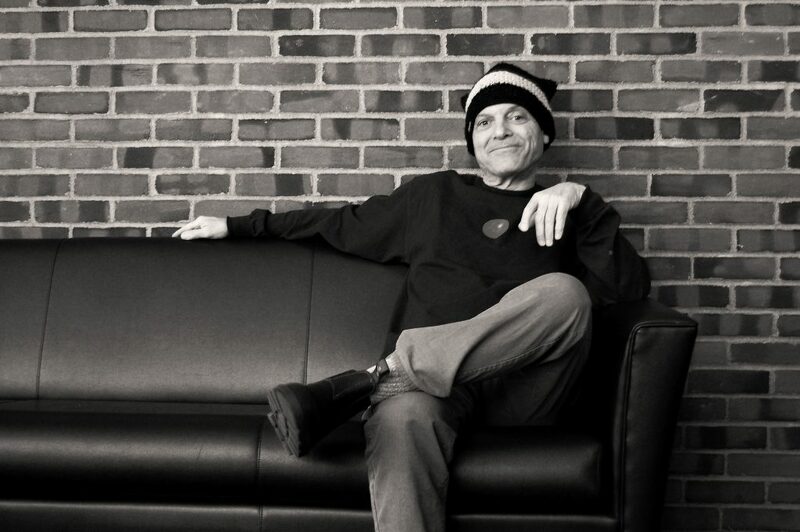 This semester is not guest director Phil Soltanoff‘s first time in the Skidmore Theater Department. He first showed up on the Skid scene as a Senior Artist-in-Residence in 1984. Soltanoff taught classes like Advanced Directing, Intermediate Acting, and Introduction to Acting. He stayed in this position with the department for over 19 years until leaving in 2003 to pursue professional commitments. During his time here he directed everything from Arthur Miller to Shakespeare. 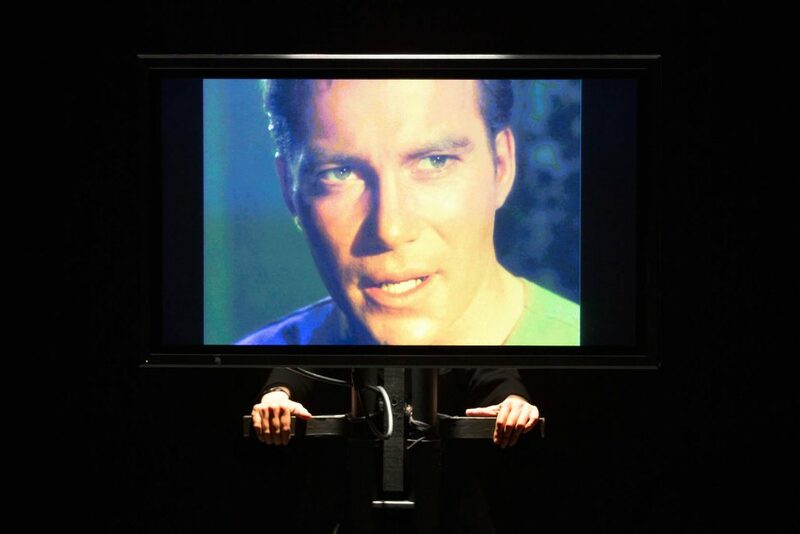 Photo from An Evening with William Shatner Asterisk, a theater-video project by Phil Soltanoff. Despite his international acclaim, most recently, Soltanoff returned to Skidmore Theater in the Fall of 2015 to direct Thornton Wilder’s classic, Our Town. Though Soltanoff usually has a strong focus on video in his projects, this semester’s production of Balm in Gilead will be largely focused on music. Soltanoff describes his current production as a “rock concert.” I had the chance to sit down with Soltanoff this weekend who proudly declared, “Music plays a huge role in the show. I think of the show as part rock concert part play. I mean the volume of a rock concert—a hundred decibel sound. 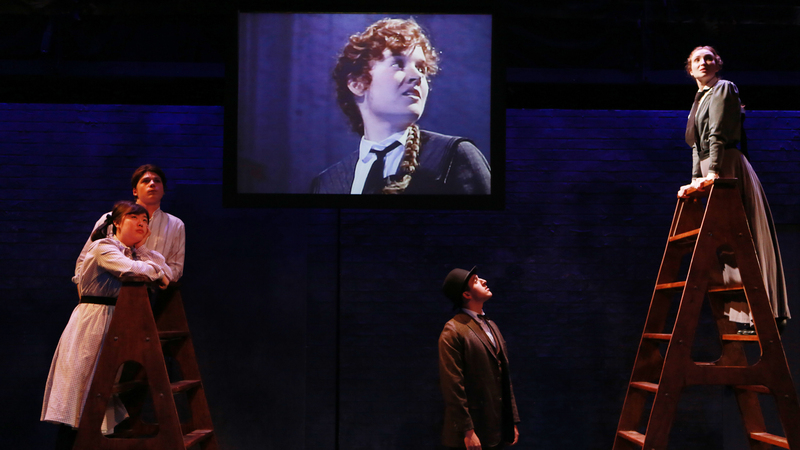 I don’t mean like as a backdrop to the show.” Despite the cinematic masterpiece that was Our Town‘s video backdrop of the 1989 Lincoln Center production, it seems that Balm in Gilead‘s impact will be in its aural presence just as much as its visual one. 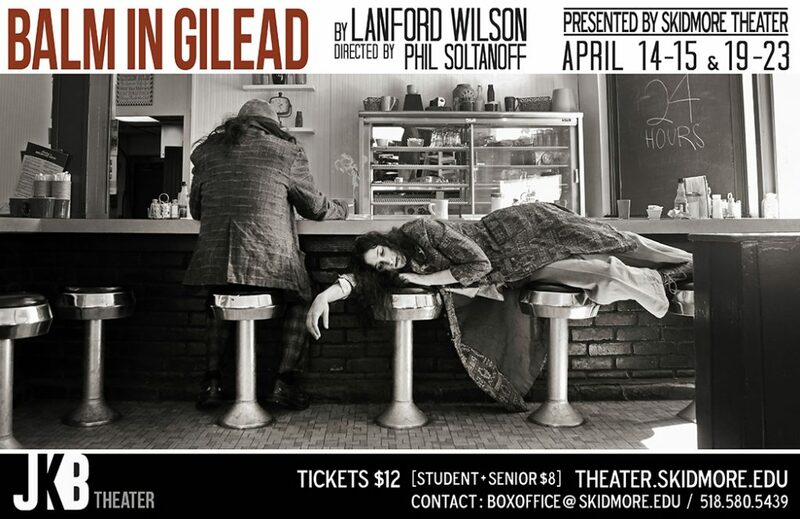 Balm in Gilead runs on the JKB Mainstage from Friday April 14th-Saturday April 15th, and Wednesday April 19th-Sunday April 23rd. All performances are at 8:00pm except for Saturday the 22nd at 7:00pm and Sunday matinee at 2:00pm. For ticketing information, click here. Ziggy Schulting ’18 is an English/Theater double major and Assistant Editor of the Living Newsletter.